A reporter and cameramen for local Roanoke, VA CBS affiliate WDBJ7 were killed by a gunman during a live broadcast Wednesday morning. Alison Parker, 24, and Adam Ward, 27, were on doing a live shot from Bridgewater Plaza in Moneta, VA at 6:45 a.m. local time. 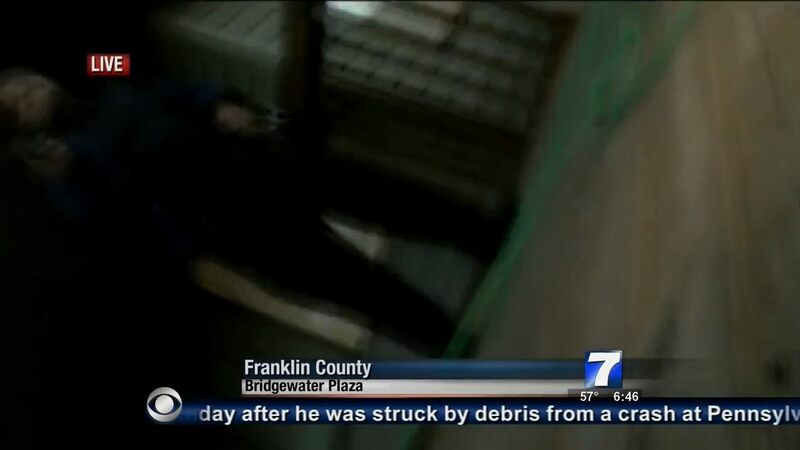 The camera caught the outline of a person who appears to be the shooter. As if 10 a.m. ET, a manhunt is underway for the suspect. Parker’s boyfriend was WDBJ colleague Chris Hurst, an anchor at the station, which he revealed in a tweet. Ward, described as “hardworking” was engaged to Melissa Ott, a producer on the station. Ott was celebrating her last day at the station this week and was taking a new job in Charlotte. He had planned to join her there and find a new job with her. According a report, Virginia Gov. Terry McAuliffe, the shooter is a disgruntled former employee. JUST IN: Va. Gov. Terry McAuliffe said on the radio that the Va. shooter is a disgruntled former employee. Suspect is identified as Vester Lee Flanagan according to a CNN reporter.